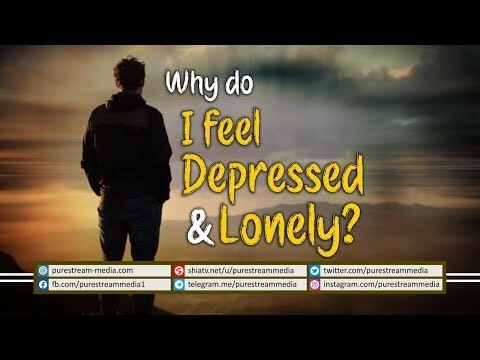 Why do I feel Depressed & Lonely? | Agha Alireza Panahian Feeling lonely is a prevalent phenomenon in today\'s time and age. Why do some of us feel lonely? What are the symptoms of this feeling? Is there a solution to it? How can I stop feeling that no one loves me? Agha Alireza Panahian explains. 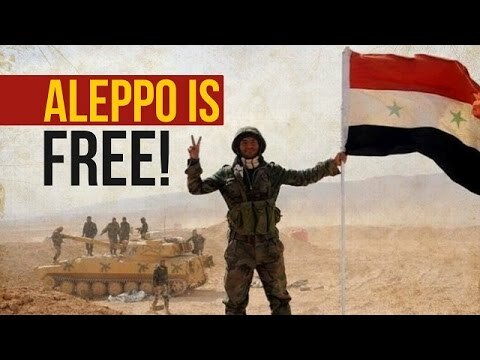 Are you happy for this long-awaited victory granted by the Almighty? Agha Alireza Panahian states a litmus test for all the believers. Planning VS Desiring | Agha Alireza Panahian Many a times, we become a prey of this confusing phenomenon. Are we supposed to plan or leave everything to Allah? Is it OK to desire for something and then strive to acquire it? How can we then differentiate what love-of-the-world is? Where does the line draw. What\'s the difference between planning versus desiring? This short clip by Agha Panahian will answer many such confusions. Agha Panahian, in the form of an emotional recitation, tells us when to expect the reappearance of our beloved Imam Mahdi (ATFS). A beautiful illustration by Agha Panahian on the relationship between fear and creativity. What\'s the secret of the fire in the hearts of the believers? What\'s the secret of the believers shedding countless tear for Imam Husayn (A)? What is the cause of this strange phenomenon? 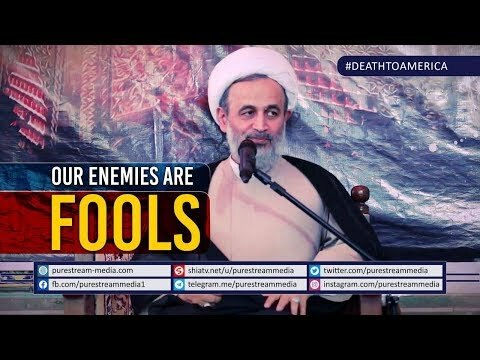 Our Enemies are Fools | Agha Alireza Panahian We have a hadith from the infallible Imam that our enemies are from among the fools. Agha Panahian explains this phenomenon in today\'s context and the logical & rational slogan of #DeathToAmerica. Jealousy & Politics | Agha Alireza Panahian This clip highlights a phenomenon which explains why the Prophets & Infallible Imams (A) were abandoned by the people. Why are some so adamant in opposing Imam Khamenei today?! Iran is one of the few countries in the world that will remain immune from a worldwide financial downturn despite having economic problems of its own. Al Jazeera Alireza Ronaghi reports from Tehran where the people are shielding from the global economic crisis. It has been 30 years since the US undertook Operation Eagle Claw - a failed military mission to rescue 52 diplomats and embassy staff taken hostage in Iran. About 90 commandoes, eight helicopters and six aircraft landed in the Iranian desert on the first stage of the mission, but an accident resulted in the deaths of eight soldiers and it was called off. The hostage crisis lasted for another year after "divine intervention", as some Iranians say, stopped Eagle Claw. The anniversary comes amid rising tensions between the US and Iran. Al Jazeera Alireza Ronaghi reports from Tehran. Iran\'s famous soccer club Persepolis and Italy\'s renowned AC Milan hold an all-star friendly in Tehran before a massive crowd. Soccer fans went to watch world-class players on the pitch bring back a lot of memories. For AC Milan, stars such as Paolo Maldini, Sebastian Rossi, and Gattuso went to the pitch. While Persepolis brought its legends such as Karim Bagheri, Hamid Reza Estili and Mehdi Mahdavikia. Only 40 seconds into the game, Milan scored the first goal, thanks to Daniele Massaro. However, the home squad pulled one back with a dramatic equalizer by Alireza Imamifar. But two goals by Christian Lantiniotti, and Stefano Eranio ended the match three-one in favor of the Italian giants. Weekly religious gatherings are a source of many blessings for the youths. What should be the objectives of such gatherings? Agha Panahian explains how we should commemorate these gatherings. Do we take Allah\\\'s mercy for granted? Do we take our sins lightly? Do we realise the true consequences of our actions? Ustad Panahian does what he does best: open our eyes! How high is your opinion of Allah? Agha Panahian, in his trademark affable style, illustrates the importance of adopting a perspective of life based on the teachings of the Holy Quran.